On now through January 10, 2016 in the Elizabeth V. Sullivan Gallery is the exhibition Marilyn Friedman, Karen O’Neil, and John A. Varriano. Fired clay with pigment, 16½ x 7½ x 8½ in. Gypsum with pigment, 46½ x 6 x 6 in. Bronze, 19 x 5 x 8 in. Terra cotta with pigment and wax, 16 x 20 x 40 in. Marilyn Friedman, Time Forms 1. Fired clay, 55 x 16 x 37 in. 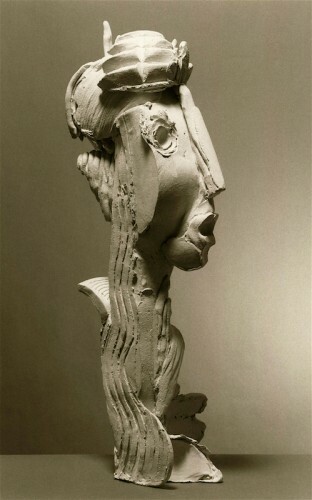 Marilyn Friedman, Terra Cotta Figure 1. Terra cotta with pigment, 42 x 6 x 7 in. Aluminum, 43 x 7½ x 6½ in. Terra cotta with pigment, 45 x 14 x 22 in. 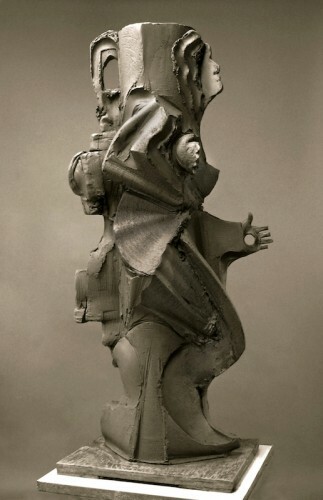 Marilyn Friedman, Running Figure II. Terra cotta with pigment and wax, 36 x 10 x 15 in. Oil on linen, 10 x 10 in. 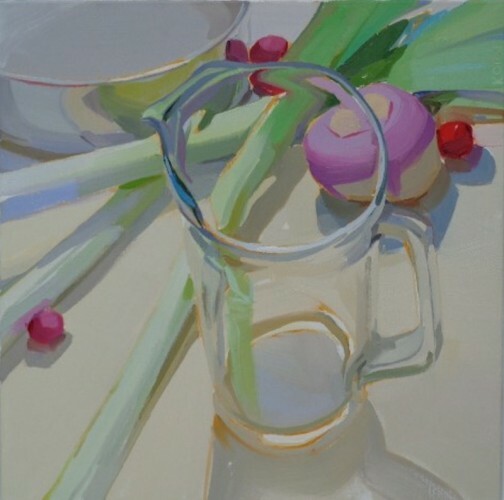 Karen O’Neil, Glass Pitcher and Leeks. Karen O’Neil, Pale Yellow Light. Oil on linen, 30 x 30 in. Karen O’Neil, Cherry Red Hot Peppers, Seed Pack & Glass Bowl. John A. Varriano, Sunflower Bouquet. John A. Varriano, The Spiritualist. John A. Varriano, Summer Light. John A. Varriano, Marsha and Pepper. Oil on panel, 10 x 8 in. 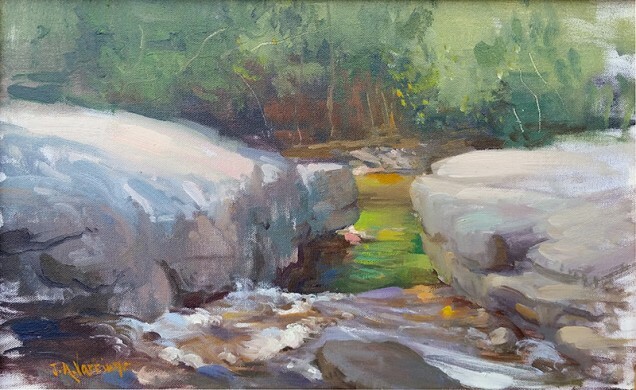 John A. Varriano, Split Rock Swimming Hole. Oil on canvas, 10 x 16 in. John A. Varriano, Pewter Teapot. John A. Varriano, Inlet View, on the Cape. John A. Varriano, August Harvest. John A. Varriano, Indonesian Beach Scene. John A. Varriano, Boppy’s Lane View. Starting as a figurative sculptor, Marilyn Friedman’s work grew to express the rhythms, dynamics, and motifs of the human form. This brought her to develop a vocabulary in the responsive medium of clay, where forms led to content. Her recent work is part of a conceptual vessel series exploring the themes of time and the female form. 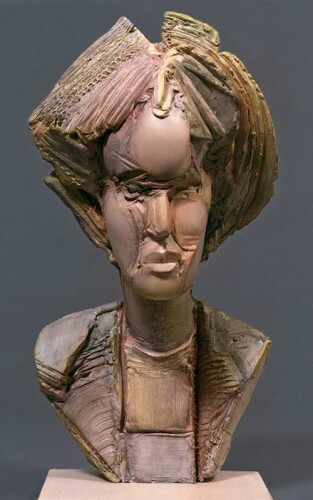 She has won numerous scholarships, grants, and awards for her portrait, figurative, and abstract works, and was recently awarded the 2014 Adolph & Esther Gottlieb Foundation Grant in recognition of her work as a sculptor. Ms. Friedman studied sculpture at the University of Siena, Italy, and received a degree in art history and sculpture from Stony Brook University. 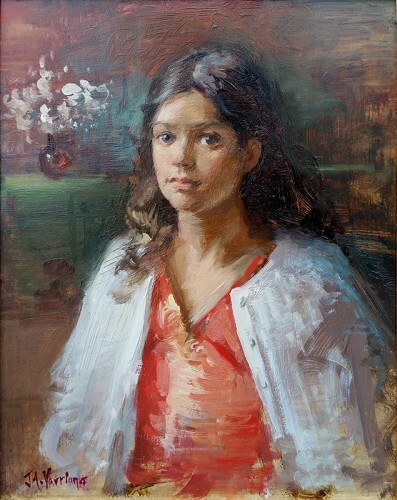 Upon graduating, she attended the Art Students League of New York, where she received several grants and scholarships including the John Hovannes Memorial Merit Scholarship; Johnson Atelier Residence Scholarship; two Concours Awards for Sculpture; four consecutive Nessa Cohen Memorial Fund Grants for Sculpture; and the Tucker Fund Scholarship to attend the Skowhegan School of Painting and Sculpture. 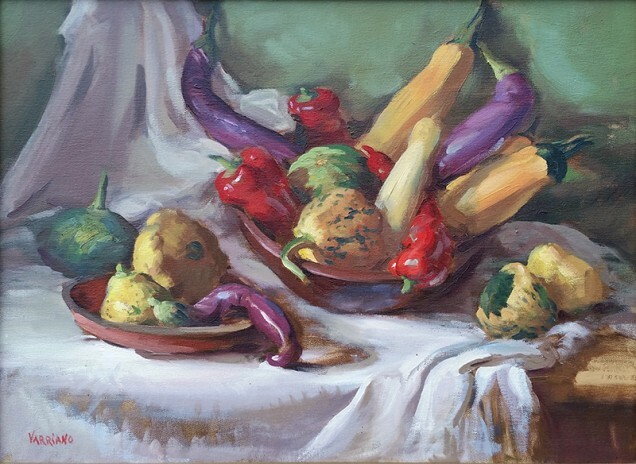 She was appointed to the Board of Control, and her work is in the Art Students League’s permanent collection. 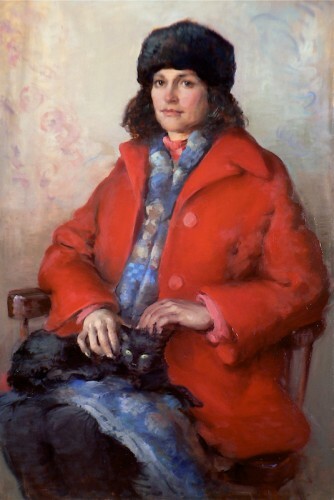 She received many awards for her sculpture including the Excalibur Bronze Award for Portraiture, Catherine Lorillard Wolfe Art Club; Katherine Thayer Hobson Award for Portrait Sculpture, Pen & Brush Club; Gold Medal of Honor for Sculpture, National Arts Club; Youth Awards Commendation, National Sculpture Society; In Memorium Award for Sculpture, 73rd Annual Allied Artists of America Exhibition, and the Dessie Greer Prize for Portrait Sculpture at the National Academy of Design’s 161st Annual Exhibition. Her work is in many private collections and has been exhibited at galleries throughout the Northeast, including recent exhibitions at the Blue Hill Art & Cultural Center, Pomona Cultural Center, and the Belskie Museum of Art. Her work is installed in La Paix Sculpture Garden, the Nightengale Garden, and the Erika and David Boyd Sculpture Garden. Ms. Friedman’s career includes consulting for the Department of Conservation at the Museum of Modern Art, on the sequential sculpting process of the Matisse Back Series for the exhibition Matisse: Radical Invention 1913–1917. She has taught Foundation and Advanced Sculpture, and Clay Portraiture at Parsons School of Design, and Clay Figure and Portrait Seminars at Montoya Art Studios. 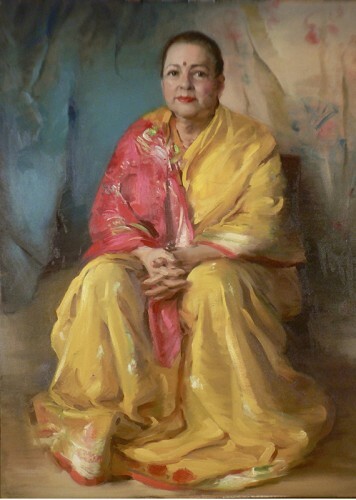 She has taught at the Vytlacil Campus of the Art Students League of New York, and was on the Sculpture Faculty of the National Academy School of Fine Arts, where she gave the illustrated lecture “From Naturalism to Abstraction.” She is currently an instructor at the Art Students League of New York. Karen O’Neil was born in Boston, received her BFA from Massachusetts College of Art in 1984, studying with George Nick. She also studied with Henry Hensche in Provincetown, Mass. 1984. 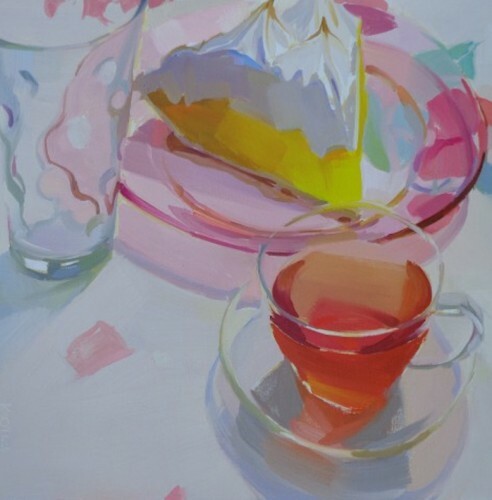 Recent regional exhibitions have included a solo exhibition at Artworks Gallery & Studio, Scranton, PA; group exhibitions in Woodstock, Olive, and Kingston, NY; as well as the Belskie Museum, Closter NJ. She has been written about in The Jealous Curator, The Highway is my Home, Viva Bang Bang, Starr Struck, and The Artists Magazine. 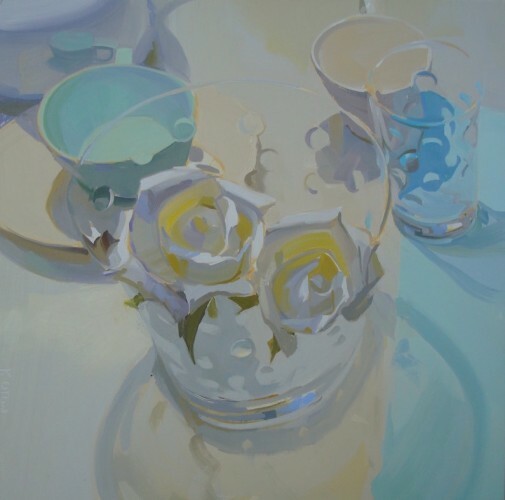 Karen O’Neil’s work is represented in numerous private collections. Corporate collections include Memorial Sloan Kettering Hospital, NY; Pfizer Pharaceuticals, NY; Kingston Hospital, Kingston, NY; HVFA, Kingston, NY. 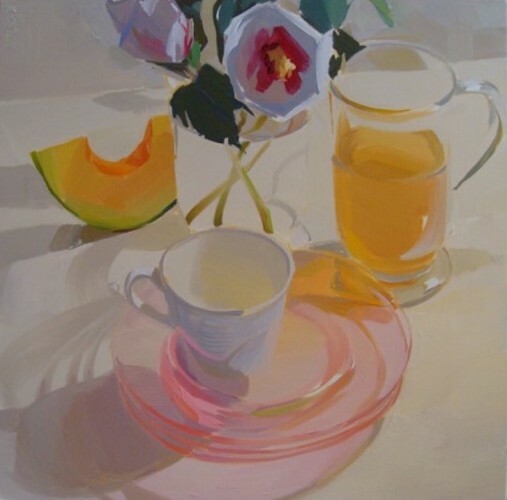 O’Neil is an instructor of painting at The Art Students League of New York, and The Woodstock School of Art. For more information, see her website and Facebook page. 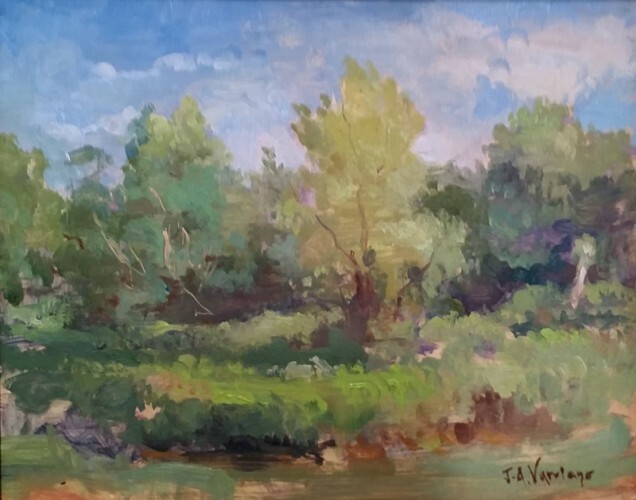 John A. Varriano is an award-winning representational artist, exhibiting extensively in juried shows and galleries on the East Coast. 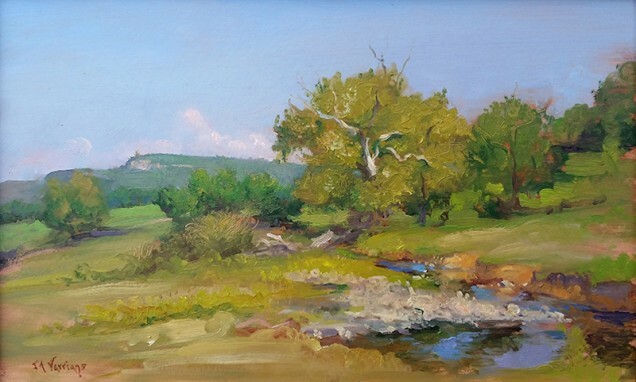 John has won various awards for his oil paintings, including Allied Artists of America’s Florence and Ernest Thorne Thompson Memorial Award in 2015; Best in Show at the National Art League’s Annual Exhibit in 2012; first place at Gardiner Plein Air Show in 2012, and Best in Show at UCJF’s 14th Annual Fall for Art show in Kingston in 2010. In 2012, John was one of a select few chosen to exhibit his work at the Chelsea International Fine Arts Competition sponsored by Agora Gallery. In 2006, he was selected to attend an exclusive 10-day painting retreat sponsored by American Artist Magazine at the Forbes Family’s Trinchera Ranch in Colorado. 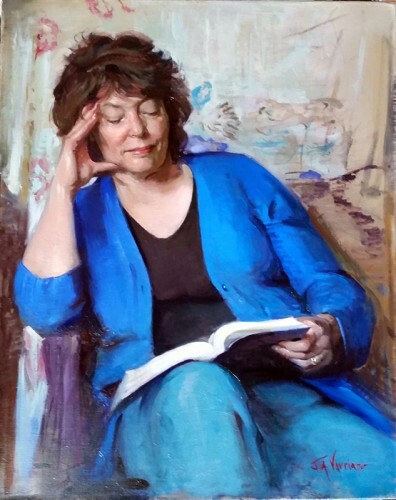 John teaches figurative, portrait, and landscape workshops at the Art Students League in NYC, and is a regular instructor at the Art Center of Northern NJ. 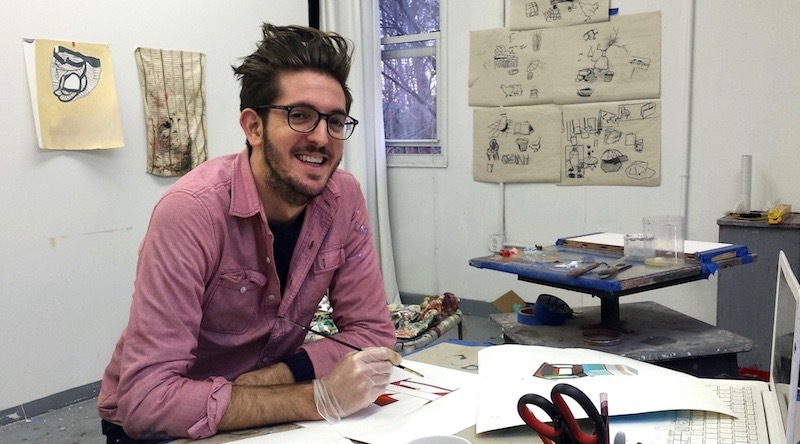 He also teaches workshops in the Hudson Valley at his Gardiner studio. He is a founding member of Gardiner Open Studio Tour, GOSTartists.org. John’s portrait commissions are included in numerous private and public collections, including the Yale Club in NYC. For more information, email him. The Elizabeth V. Sullivan Gallery focuses on exhibitions by the Art Students League of New York’s faculty and friends. 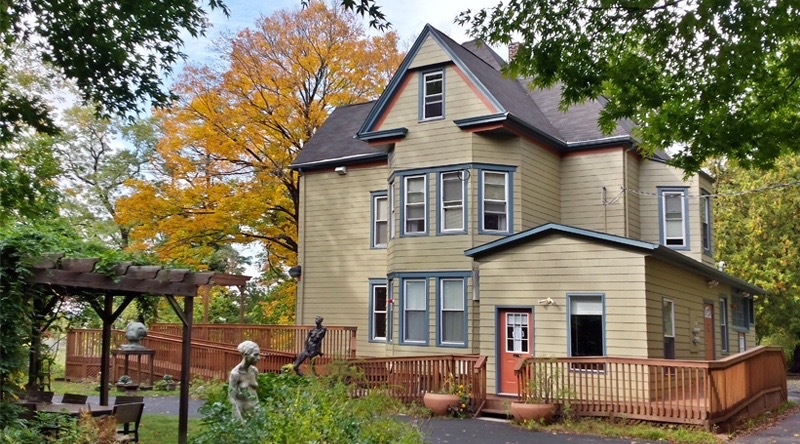 The gallery is located in modernist painter Vaclav Vytlacil’s historic Victorian home in Rockland County, which is also the site of the League’s international artist-in-residence program, The League Residency at Vyt The Elizabeth V. Sullivan Gallery is located at 241 Kings Highway in Orangeburg, NY. Marilyn Friedman, Painted Head. Fired clay with pigment, 16½ x 7½ x 8½ in. Marilyn Friedman, Painted Totem. Gypsum with pigment, 46½ x 6 x 6 in. Marilyn Friedman, Surprised Head. Bronze, 19 x 5 x 8 in. 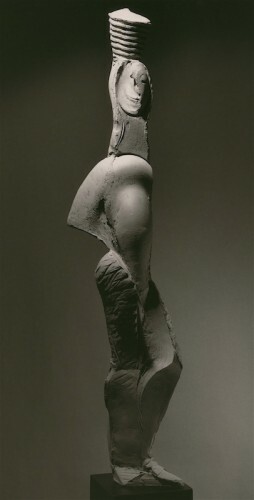 Marilyn Friedman, Figure/Form 1. Terra cotta with pigment and wax, 16 x 20 x 40 in. 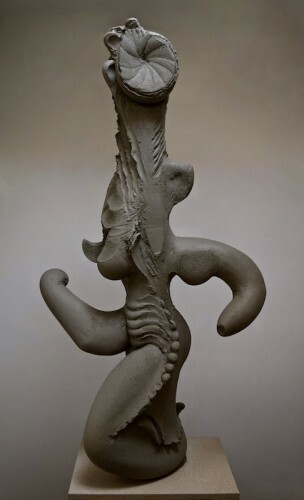 Marilyn Friedman, Time Forms 1.Fired clay, 55 x 16 x 37 in. 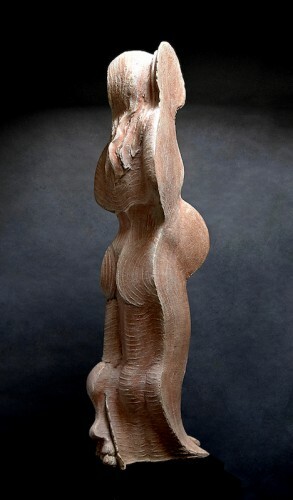 Marilyn Friedman, Terra Cotta Figure 1. Terra cotta with pigment, 42 x 6 x 7 in. Marilyn Friedman, Aluminum Totem. Aluminum, 43 x 7½ x 6½ in. Marilyn Friedman, Figure/Shapes. Terra cotta with pigment, 45 x 14 x 22 in. Marilyn Friedman, Running Figure II. Terra cotta with pigment and wax, 36 x 10 x 15 in. 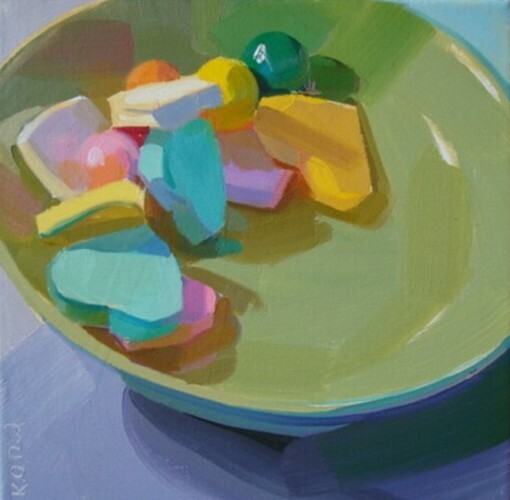 Karen O’Neil, Candy Dish. Oil on linen, 10 x 10 in. 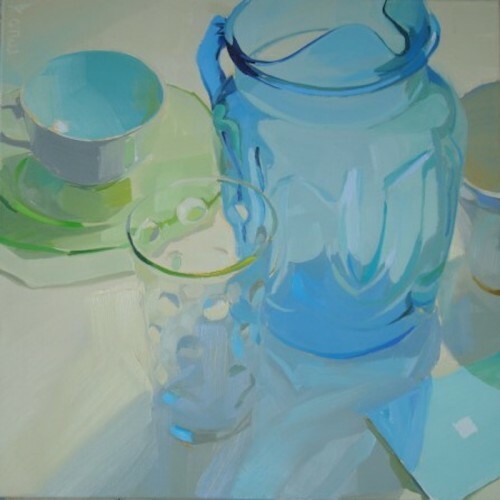 Karen O’Neil, Glass Pitcher and Leeks. Oil on linen, 20 x 20 in. Karen O’Neil, Pale Yellow Light. Oil on linen, 30 x 30 in. 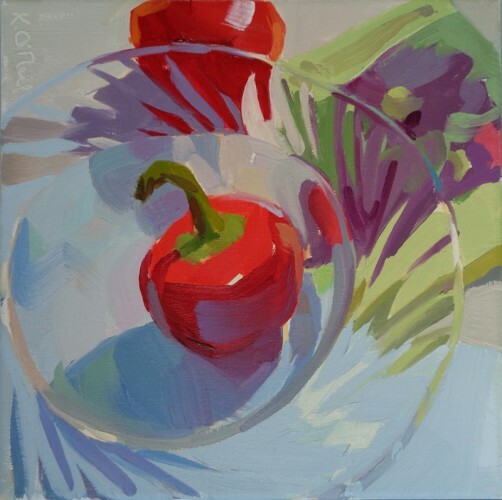 Karen O’Neil, Cherry Red Hot Peppers, Seed Pack & Glass Bowl. Oil on linen, 10 x 10 in. 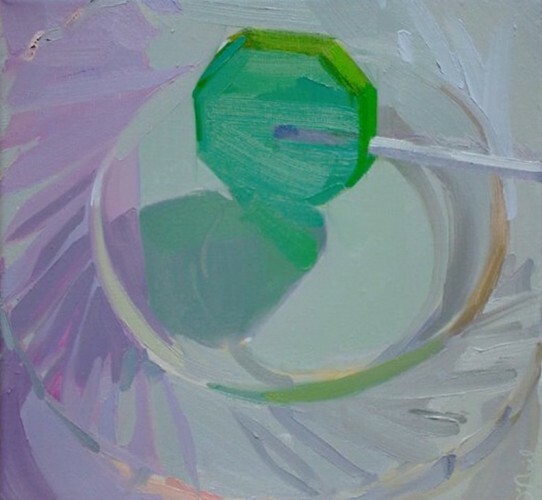 Karen O’Neil, Bubble Glass. Oil on linen, 24 x 24 in. Karen O’Neil, Green Pop. Oil on linen, 10 x 10 in. Karen O’Neil, August. Oil on linen, 24 x 24 in. John A. Varriano, Vicki. Oil on linen, 30 x 24 in. 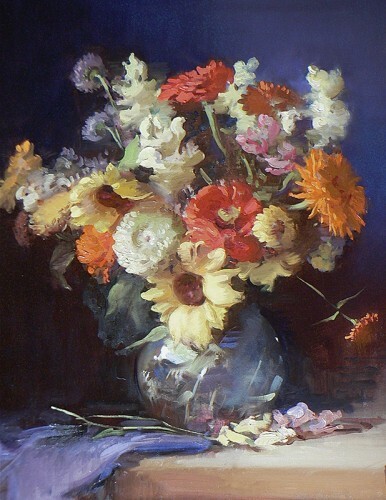 John A. Varriano, Sunflower Bouquet. Oil on canvas, 24 x 20 in. John A. Varriano, The Spiritualist. Oil on canvas, 40 x 30 in. John A. Varriano, Summer Light. Oil on canvas, 8 x 10 in. John A. Varriano, Marsha and Pepper. Oil on canvas, 36 x 24 in. John A. Varriano, Francesca. Oil on panel, 10 x 8 in. 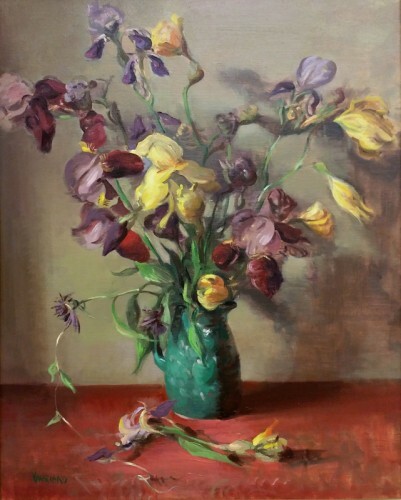 John A. Varriano, Irises. Oil on canvas, 30 x 24 in. John A. Varriano, Split Rock Swimming Hole. Oil on canvas, 10 x 16 in. 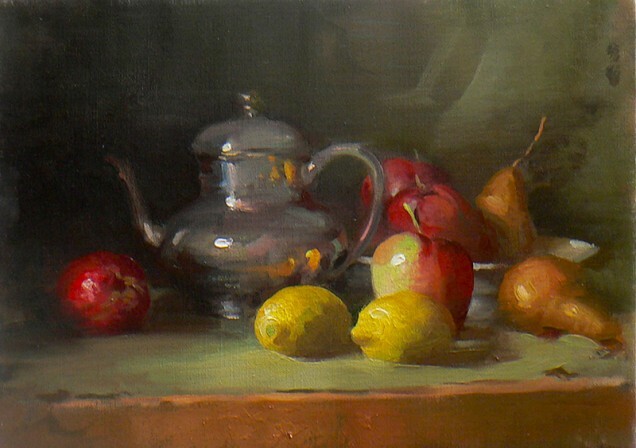 John A. Varriano, Pewter Teapot. Oil on canvas, 12 x 16 in. 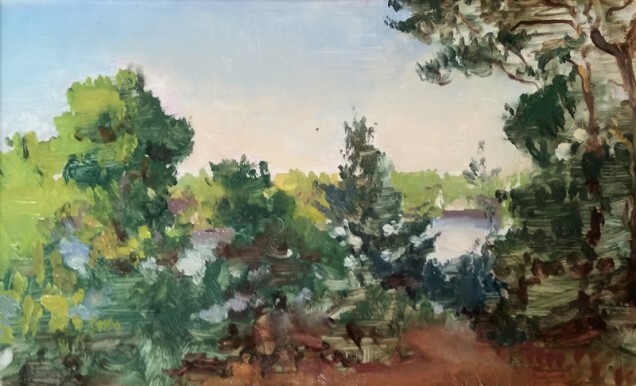 John A. Varriano, Inlet View, on the Cape. Oil on canvas, 8 x 10 in. John A. Varriano, August Harvest. Oil on canvas, 18 x 24 in. 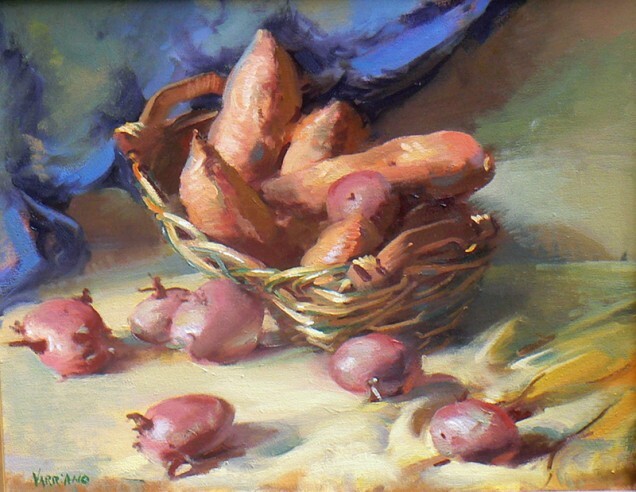 John A. Varriano, Potatoes. Oil on canvas, 16 x 20 in. 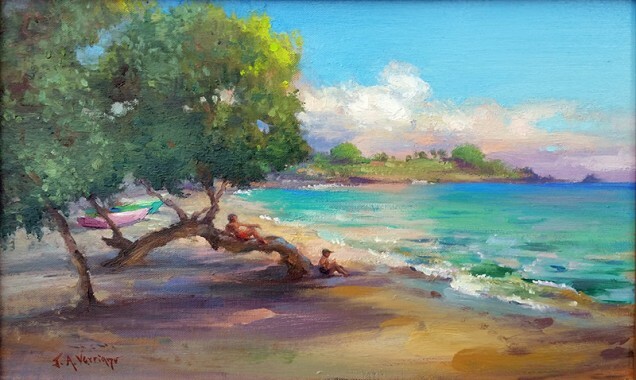 John A. Varriano, Indonesian Beach Scene. Oil on canvas, 10 x 16 in. John A. Varriano, Boppy’s Lane View. Oil on canvas, 10 x 16 in.